Let’s face it, we use our flat irons regularly to straighten and style our hair and even though we’ve been warned about the damaging effects this can have on our hair, we do it anyways. After all, it seems to be worth the great hair day, right? 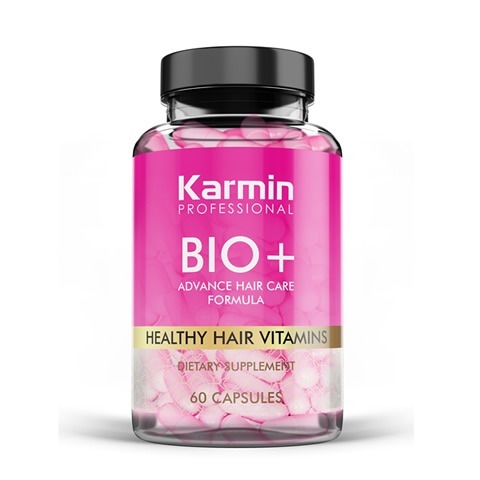 Well, here at Karmin we understand this and so we decided to create a hair care system designed not only to protect and nourish your hair but to help better your results. Introducing the Karmin 4 Step Hair Repair & Smoothing System. Specifically designed to be used alongside your hair straightener for healthier and better looking results. 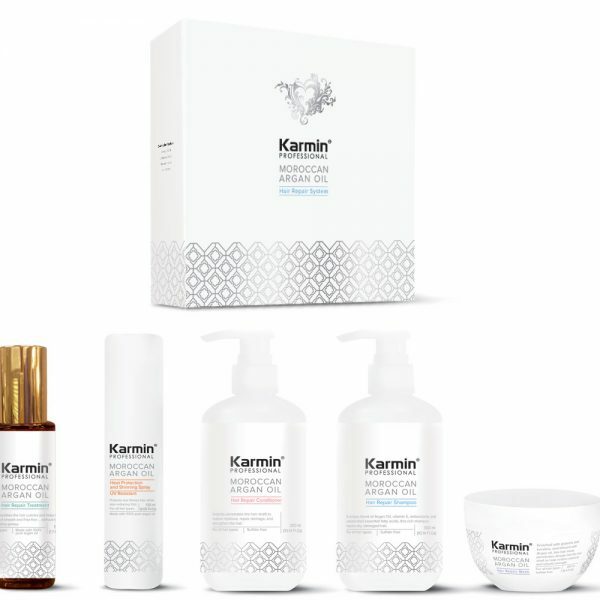 Formulated using 100% Pure Moroccan Argan Oil each product in our system works together to compliment both your styling results and the overall health of your hair. Dry, dull, damaged hair is transformed and left smooth, full of volume and shine and feels incredibly soft to the touch. 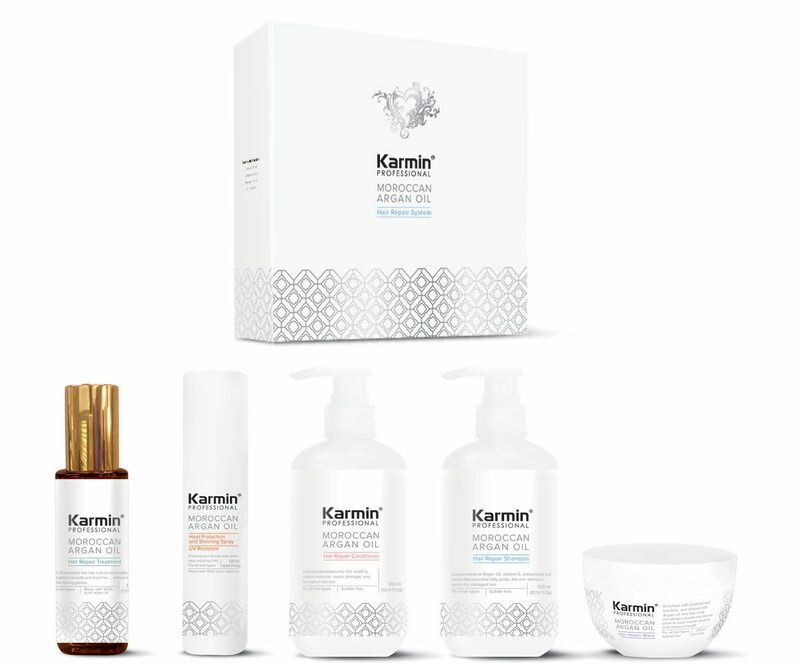 The Karmin Hair Repair & Smoothing System includes 5 products which all compliment one another, boosting your hair’s strength, vitality and keeping it safe from damaging heat styling, chemical processing and environmental damage. Featuring a unique, moisture boosting formula our shampoo is made using a blend of Argan Oil, Vitamin E, antioxidants and unsaturated essential fatty acids which provides a gentle cleanse that is safe on all hair types, including color treated hair. Strong hair is key to healthy hair and our rich, creamy conditioner is all about boosting your hair’s elasticity. With strength boosting proteins and Argan Oil our conditioner penetrates the hair shaft to repair and renew from the inside out, preventing breakage and split ends. Hair is left incredibly soft, smooth and full of shine. Formulated to prevent and repair severely dry, damaged and/or brittle hair our Recovery Hair Mask is enriched with proteins and keratins and infused with Argan oil to penetrate deep into the hair shaft rebuilding strength and restoring elasticity. Use 1 – 3 times per week depending on your hair’s current condition. Avoid damage and dry out and guard your hair from heat and UV rays while optimizing the effectiveness of your flat iron. Apply to damp hair before blow drying and flat ironing for the ultimate protection. Adds incredible shine and reduces frizz and flyaways. Our hair oil is applied to dry hair after straightening. This lightweight, non greasy oil smooths any frizz or flyaways, seals split ends and adds amazing mirror like shine. 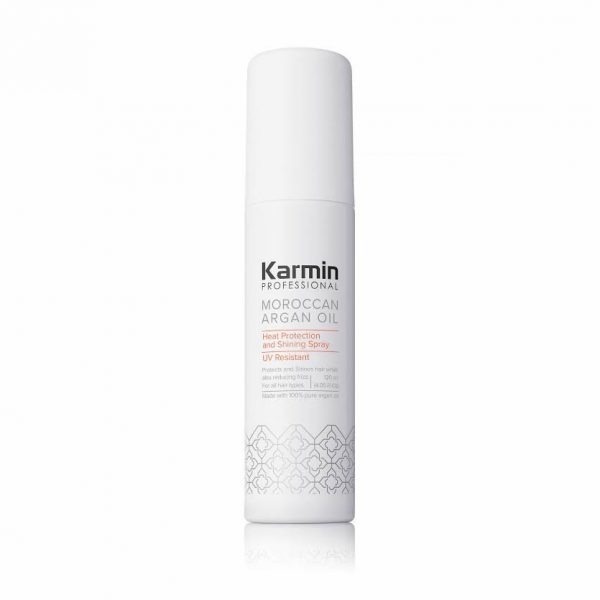 Made with 100% Moroccan Argan OIl it also protects and nourishes your hair leaving it silky smooth and vibrant. 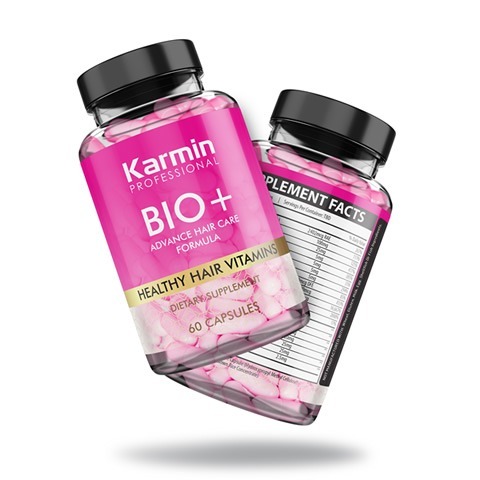 I was very happy with the customer service here at Karmin as well as the quick turnaround from order to delivery. I am also enjoying the products and while I am not used to so many steps, can see it is necessary in order to truly make a difference. I have noticed that my hair feels very silky to the touch and that I get a lot of shine without my hair being weighed down. I would recommend this kit. I have very long, very curly hair that has always been a pain in the ‘you know what’ to get and keep straight. In the past I have used chemical treatments to straighten my hair and while they worked really well, I just no longer wanted to use harsh ingredients on my hair as I noticed it was becoming more damaged. So while this provides temporary results, they are great results and I will continue to use this product as long as I straighten my hair. Shipping was really quick and I am enjoying the hair products so far. I have thin, curly hair and its nice that this products help to smooth my hair but do not make it fall flat or look oily. The hair mask is a little bit heavy for my hair type so I just use once every two weeks but it leaves it very soft and looking like its very healthy. Great product, nice packaging, shipping was fast. I am happy with the outcome of my hair after use.